Social entrepreneurship is all about solving community-based problems. 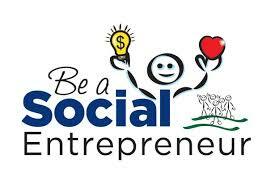 Any entrepreneur who creates a positive change in society by taking risks and putting efforts into an initiative is considered a social entrepreneur. The work area of such individuals can be anything from providing education to employment, and providing healthcare facilities to society. While most of the businesses are profit-oriented, they can still make a positive impact on society. Social entrepreneurship involves implementation of research, entrepreneurial principles, a plan, and operations. A social entrepreneur performs research to define a particular problem in society and then solves the problem by developing a social venture to bring those desired changes outlined in the research. 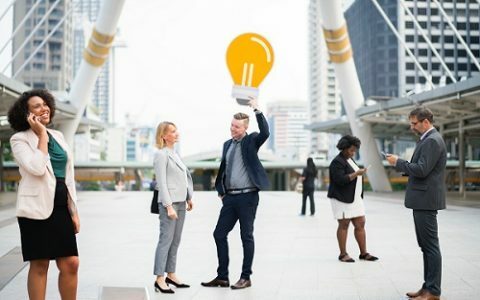 The change may or may not be defined by the depth of problem-solving techniques, meaning that a social entrepreneur is not liable for the elimination of that particular social problem. But it doesn’t stop social entrepreneurs from focusing on a lifetime process to help improve the existing circumstances. The definitions of social entrepreneurship have more than one bottom lines. Most of the entrepreneurs keep economic and social elements at the same level. These definitions highlight different motives, different operational activities, different ventures, and diverse methods to make the society strong. Entrepreneurship is about problem-solving. It means we can see different types of social entrepreneurship. Entrepreneurs identify problems, they implement their plan, and they solve problems in their own ways. These social entrepreneurs identify opportunities to address social challenges. They are motivated and have the resources to act upon opportunities to solve local social problems. These entrepreneurs run small-scale local ventures and their nature of work is often episodic. Their actions help maintain a balance in society and their knowledge about social needs help detect the root cause of the problems and solve them. What makes them different is that there are no specific criteria for the knowledge and resources they have. Their abilities to address social needs and their knowledge are widely scattered. These entrepreneurs possess limited resources and as a result, they can’t easily expand their ventures. They build solutions and address social challenges that agencies, businesses, and governments cannot. The size of such businesses goes from small to large. Such organizations work in a more systematic way and address social needs which are often overlooked by government or businesses due to lack of will. These entrepreneurs develop solutions for problems existing in a broad social infrastructure. They fill gaps by providing services and goods and create a harmony in society. These individuals work to address challenges left unaddressed and they often have limited to zero competition. Social entrepreneurs are also seen as the elements that keep other businesses and governments safe from negative publicity. In order to scale, they need financial support and human resource at medium to a large level. These businesses need professional as the business operation is more organized. They are skilled individuals who create new, highly effective solutions. Their solutions are based on big ideas and research so that they can easily replace existing small systems with the new and efficient ones. These social entrepreneurs work at large scale – national to global. They improve existing social infrastructure and solutions by working to address social needs. They are needed because they can create more efficient systems. Social entrepreneurs who work at large scale face more challenges than the small ones. Entrepreneurs who work locally have to face problems related to lack of resources and finance, but the developers have to face competition to develop business plans and as a result, they often struggle to get financial support and resources. The world has seen significant changes in business practice after globalization and privatization. The non-profit organizations have created a pressure on governing authorities to fill the gaps in the provision of social services. In many places, social entrepreneurship couldn’t grow well due to lack of funding and resources. The costs of delivering solutions for social challenges were high as many new non -profit organizations appeared and they all relied on fewer funding sources. The major change came when new ventures on different levels were introduced. To turn their visions into reality, successful social entrepreneurs need the following skills. 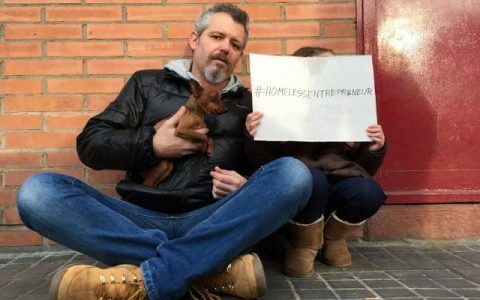 Social entrepreneurs are creative. They identify problems what others cannot. They uncover challenges and take actions to bring social justice. Social entrepreneurs work to make the world a better place, but the path is not for everyone. Nearly every day you may hear voices advocating social entrepreneurship. It is good that millennial’s are very much interested in becoming social entrepreneurs and they want to bring a positive change in their community or on a large scale. Young college grads excitedly enroll for social entrepreneurship courses and want to launch organizations for the betterment of children, women, and homeless people. It all sounds great, but the biggest drawback social entrepreneurship has is lack of a defined path. There is no set of rules or a procedure put in place to guide young individuals about social entrepreneurship. As we have seen the definition of social entrepreneurship has been changing with time. The modern-day concept of social entrepreneurship is very different. Everyone wants to solve problems, but there is a need for people for other roles. Social entrepreneurs alone cannot do it. They need the human resource for different roles. They need a proper model where people can take different roles. If each of them starts a venture and becomes an entrepreneur, it will be hard to find skilled people for other positions. Many people are not being guided well, as a result, they are unable to see problems in different ways. They are not focusing on different ways to solve problems. No matter how big or small your aim is, if you want to bring a positive change in the world, this is the perfect time to get started. Our society needs social entrepreneurship, but most importantly, our society needs value no matter if it comes from an entrepreneur or a volunteer.